Dog wants his very own boy. 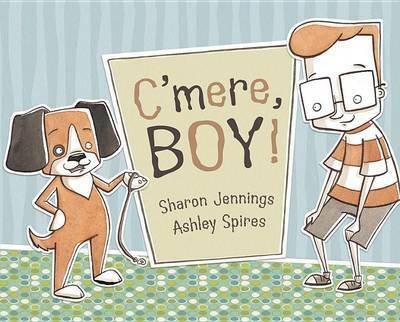 Though Mama warns him that a boy takes a lot of work, Dog is determined to find the perfect boy for him. Dog's search takes him from the pooch spa to the mall to the park, but none of the boys smell quite right. Finally, in an unexpected place, a promising-looking boy appears. Will Dog be able to train him? C'mere, Boy! is a funny and fetching twist on the traditional ?boy wants dog? story. 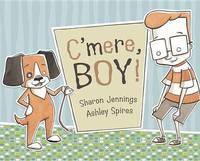 Sharon Jennings is an award-winning author of many books for young people, including C'mere, Boy! and Bearcub and Mama, a finalist for the Marilyn Baillie Picture Book Award. Sharon lives in Toronto.Ashley Spires grew up in the Pacific Northwest, the supposed stomping grounds of Bigfoot. She is the author and illustrator of a number of books for children, including Small Saul and the Adventures of Binky the Space Cat. She was the recipient of the 2011 Silver Birch Express Award and the 2011 Hackmatack Award for Binky the Space Cat and was shortlisted for a Joe Shuster Comics for Kids Award and an Eisner Award for Binky Under Pressure. Ashley currently lives in British Columbia.